Opening the airway is an important part of any initial assessment to ensure that we keep the airway clear and free from obstructions. The technique is easy and very important. 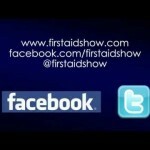 In this edition of the First Aid Show we look at the process of opening the airway.